There are several options available for those individuals who are interested in pharmacy careers. 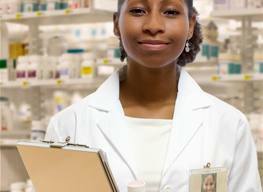 Working in a retail pharmacy is one of the most common choices for pharmacy careers, however, there are many other options for those who have obtained their PharmD degree and obtained licensure. Regardless of the work environment the annual salary for the pharmacist remains consistent with some factors that can affect their income, such as years of experience and the work environment itself. As a retail pharmacist you will work in pharmacy chains such as Walgreens, Rite Aid or CVS. The hours in this type of environment can be extensive, considering most of these stores are open 24 hours a day, seven days a week. Those planning on working in a retail pharmacy setting should be prepared to work every other weekend 12 to 14 hours a day. These retail pharmacies will typically employ two full time pharmacists who work 12 hour schedules that alternate with two days on and two days off. As a clinical pharmacist you will work closely with physicians in order to determine appropriate medications and dosages for patients who have been admitted to a hospital. Working in a long term care facility will involve caring for those patients that are terminally or chronically ill and the geriatric population. The pharmacist will work in this type of facility by monitoring medications the patients are taking and consulting their physicians regarding the patient’s response to the medications. In this type of setting the pharmacist will not deal directly with the patients but will go off of the nursing staffs daily charting notes in order to obtain information regarding medication responses and the overall progress or decline of a patient’s health. Working as a nuclear pharmacist will involve measuring and delivering material that is radioactive and used in digital imaging and other types of procedures that are performed in hospitals and medical facilities. 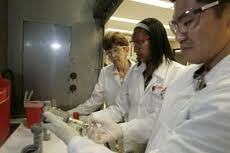 As a nuclear pharmacist you will be required to work early hours due to the nature of the radioactive materials. These materials will need to be delivered within a couple of hours of use or they can lose effectiveness. The pharmacist that works in the home infusion and chemotherapy field will be responsible for mixing chemotherapy medications for cancer patients. As a pharmaceutical benefits manager the pharmacist will work negotiating between corporations, health insurance companies and pharmaceutical companies. As a pharmacist you can work on a contract basis while considering what type of position in the pharmacy industry you’d like to work in for the long term. Working as a contract pharmacist can allow you to take as many or as little shifts as you’d like and will usually involve working on-call for hospitals, medical facilities or retail pharmacies. This type of position can also allow the pharmacist to experience many different types of work settings prior to committing to a long term position in that setting on a permanent basis. A pharmacist is a licensed healthcare professional that is dedicated to improving the health of patients by educating them on drug use, common side effects and adverse effects in order to prevent illness and misuse. To become a pharmacist you will need to obtain two years of undergraduate coursework which will then be followed by four years of pharmacology school. As a pharmacist you will also need to obtain your license in order to work in this field. As a pre-pharmacy student you will need to complete two years of college in order to be eligible for pharmacology school. Most students will obtain their bachelor’s degree prior to enrolling in a pharmacology program, although this is not required. The doctor of pharmacy degree is a field requirement that takes four years to complete and will prepare the student for the scientific, technical and patient-care aspects of this career field. The courses for this program will include toxicology, pharmacology laws and ethics, drug absorption, disease treatments, patient interaction, pathophysiology, biopharmaceuticals and medical chemistry. The program will also incorporate clinical training hours through working as a pharmacy clerk. Working these clinical hours will allow the students to gain experience in a pharmacy setting under the supervision of the facilities lead pharmacist. Those who have graduated from the PharmD program will be able to pursue additional training through residencies that can last one to two years and will allow the student to gain experience working directly with patients in a community style pharmacy or hospital. As a resident they can pursue training in general pharmacology or they can choose to specialize in a related field. The residency for the student that has obtained their PharmD degree is how long in length? A pharmacist is more commonly employed in what work environment?